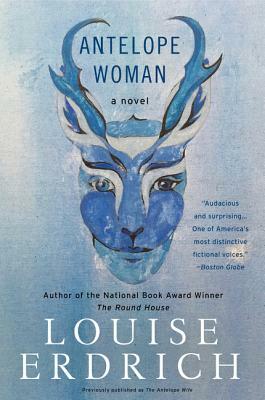 This updated edition of National Book Award-winning and New York Times bestselling author Louise Erdrich's 1998 novel now features fascinating new content, a new title, new cover art, and a new foreword by the author -- a riveting story that explores tensions between Native American and white cultures. When Klaus Shawano abducts Sweetheart Calico, the seductive Indian woman who has stolen his heart, and takes her far from her native Montana plains to his own Minneapolis home, he cannot begin to imagine the eventual ramifications his brazen act will entail. Shawano's mysterious Antelope Woman has utterly mesmerized him -- and soon proves to be a bewitching agent of chaos whose effect on others is disturbing and irresistible, as she alters the shape of things around her and the shape of things to come. The Roy and Shawano families have been inextricably intertwined for generations and, unbeknownst to them, the mysterious Antelope Woman is a part of their fierce and haunting history. "Antelope Woman" ingeniously illuminates how that history affects the contemporary descendants of these families who are the products of two cultures, Ojibwe and white, which sit in uneasy relationship to one another.